My skin. Sigh. It was its best when I was pregnant both times (slightly better with Grayson) and now it's at its worst. I recently mentioned the health challenges I've been having the past few months, and my skin is the one that's bothered me the most, although it's the least serious of them all. 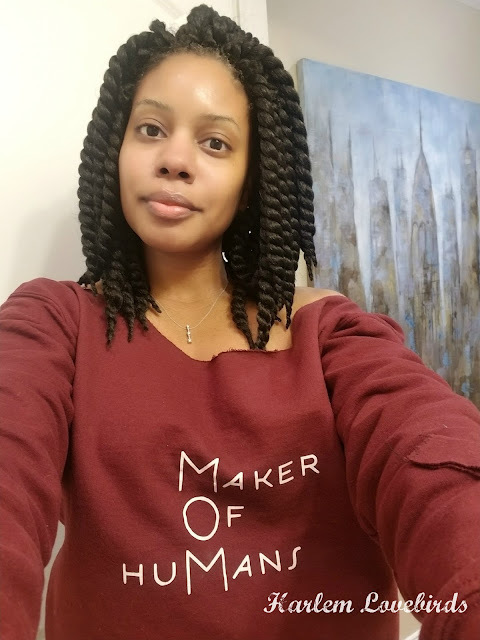 I feel most confident with clear, healthy skin and while I've experienced brief periods of this throughout my life as I try to get things situated on the medical end, selecting natural skin care is important to me. 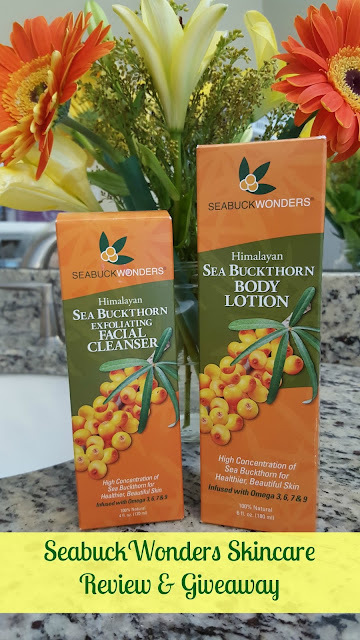 With Earth Day in mind, today I'm partnering with SeabuckWonders to share my experience using their 100% natural Himalayan Sea Buckthorn Exfoliating Facial Cleanser and Body Lotion - I have a giveaway too! I was diagnosed with discoid lupus back in 2007 (more on that here), and while I get checked regularly for flare-ups which manifest in my scalp, I still take precaution when it comes to my face. The first thing I noticed about Sea Buckthorn Exfoliating Facial Cleanser is that it's extremely gentle on my skin and doesn't dry it out. It contains orange and Sea Buckthorn oils which are anti-inflammatory, and SeabuckWonders have had a lot of customers with Sjögren's Syndrome (a common auto-immune disease which can coincidentally cause lupus) tell them that they have gotten relief from the symptoms with their products. The other issue I'm also dealing with is very dry skin, especially on my hands. My desk is swimming in balms, lotions and oils that I apply and re-apply while I work, but the Sea Buckthorn Body Lotion leads the pack with its effectiveness. 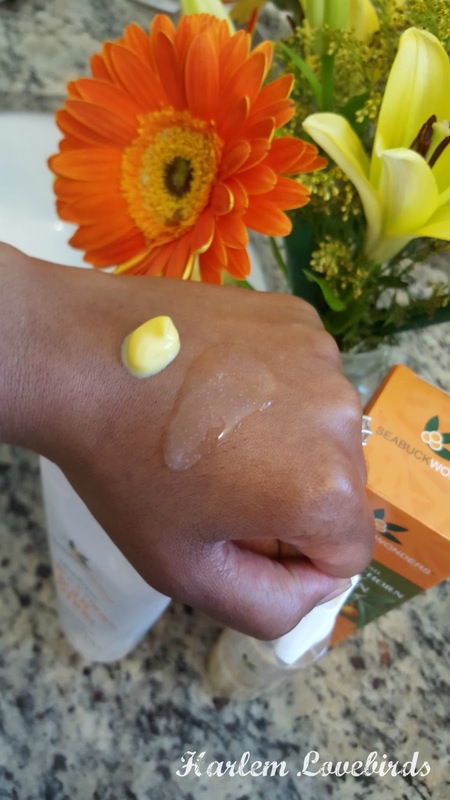 It contains Sea Buckthorn Berry and Seed Oils which have the highest level of the rare Oemga-7 and coat my skin with long-lasting moisture especially when applied right after showering. I also like how it's naturally scented with essential orange oil - Grayson even asks to have it on his hands because he likes the smell so much! It was the winner of Delicious Living's 2013 Beauty and Body Award too. If you're in need of gentle yet effective skin care SeabuckWonders has generously offered to give one lucky Harlem Lovebirds reader the facial cleanser and body lotion - it's a $32 value! Easy entry via Rafflecopter below. Giveaway begins today, Wednesday, April 20 and ends Sunday, April 25, midnight EST with the winner announced thereafter (open to U.S. residents ages 18+). Good luck!